1. Which comic device do you think cartoonist Dana Summers uses to illustrate his main idea? Explain your answer. 2. Explain cartoonist Dana Summers’ intended meaning. 3. What is your reaction to Mr. Summers’ cartoon? 1. b) irony – when the opposite of what you expect to happen occurs. 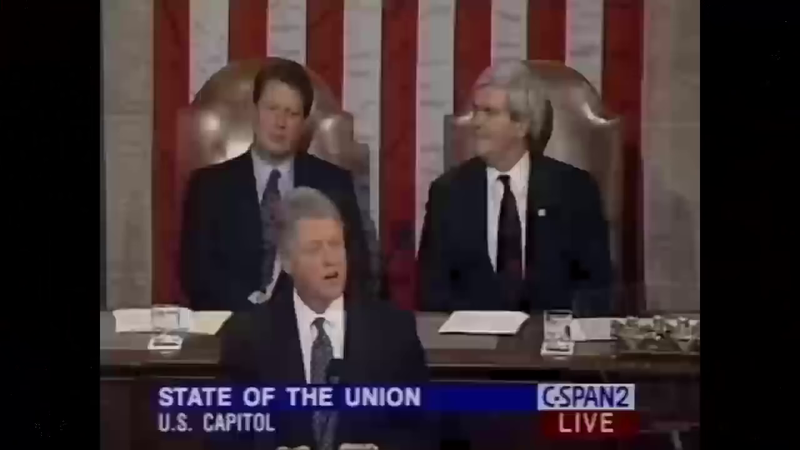 You expect the woman to agree with the man’s reaction to what he thinks is President Trump’s comments; instead, the statements were made by Democratic President Bill Clinton – the last person you’d expect to make comments so unpopular with Democrats. hyperbole – An extreme magnification or exaggeration of actuality. It blows something completely out of proportion for a distorted effect. understatement – A figure of speech in which statements are purposely understated. It may be used to indicate the speaker’s nonchalance (or obliviousness) regarding an often important or otherwise remarkable situation. 2. 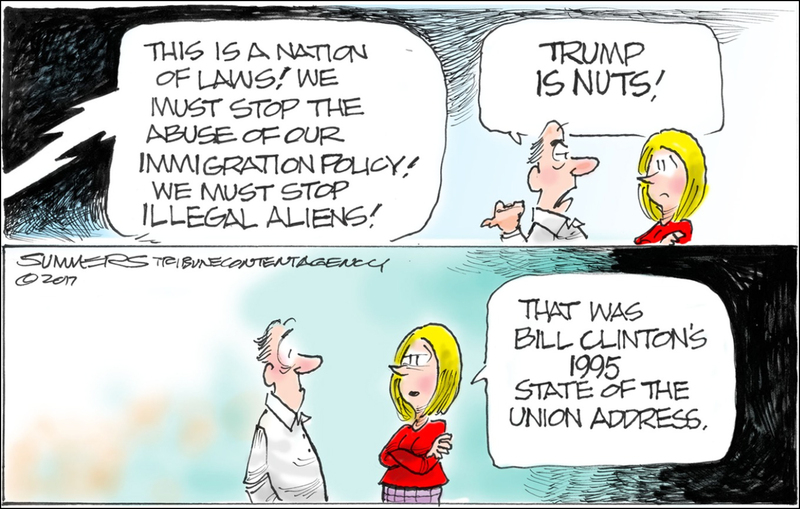 It is insincere for Democrats to oppose President Trump’s position on illegal immigrants and immigration law when Democratic President Bill Clinton made the same call during a State of the Union address.